In 1983, Livvie Bliss leaves western North Carolina for New York City, armed with a degree in English and a small cushion of cash from a favorite aunt. Her goal is to launch a career in publishing, but also to live openly as a lesbian. A rough start makes Livvie think she should give up and head home, but then a new friend helps her land a job at a literary agency run by the formidable Bea Winston. Bea hopes Livvie’s Southern charm and boyish good looks will help her bond with one of the agency’s most illustrious clients–the cranky Modernist writer Clio Hartt, an octogenarian recluse who accomplished just one great novel. When Livvie becomes Clio’s girl Friday and companion, the plan looks like it’s working: The two connect around their shared western North Carolina heritage, and their rapport gives Clio support and inspiration to think about publishing again. But something isn’t quite right with Clio’s writing. And as Livvie learns more about Clio’s romantic relationship with playwright Flora Haynes, uncomfortable parallels emerge between Livvie’s own circle of friends and the drama-filled world of expatriate artists in Paris in the 1920s. In Clio’s final days, the writer shares a secret that could upend Livvie’s life–and the literary establishment. And here’s the cover, designed by Ann McMan of Treehouse Studio! Clio Rising comes out April 23, 2019 from Bywater Books! On the phone, Bea Winston had a smoky voice, and before I met her I pictured someone who sipped martinis in a sleek black cocktail dress, her hair impeccably coiffed—Marlene Dietrich maybe. In person, Bea resembled someone’s middle-aged mom, a leftover hippie-type, with shoulder-length salt-and-pepper hair falling loose over a slightly wrinkled plum silk tunic. She came only to my shoulder, but when we shook hands, her grip belonged to a much taller woman. Bea ran her finger down the single page of my accomplishments as if she were interested. Nothing really translated to this job, aside from a BA in English from UNC Asheville and an internship at the local newspaper, where I’d basically been a go-fer. She peered at me over her wire-frame aviator glasses and across the vast expanse of her oak desk. “‘Oh, lost!’” she quoted, out of nowhere. Another applicant might have been puzzled by the line from Look Homeward, Angel, but I jumped at the bait. “Yes, ma’am, Asheville’s claim to fame.” Native son Thomas Wolfe had immortalized Asheville and its environs in his first novel. “In my twentieth-century lit class, yes.” I was hedging, nervous that she’d ask me specifics I couldn’t dredge up. The two years between that class and the interview in Bea’s office were a gaping hole of vanished knowledge. Bea leaned back in her chair, farther than seemed possible without toppling over. But she knew the limits of that chair—and just about everything else. “What are you doing here?” she asked. I stammered for a few minutes about what a giant she was in publishing, how I admired her founding the first-ever woman-run agency—facts that Gerri had fed to me. Her question seemed vaguely illegal, but I very much wanted to be myself everywhere. In particular, I wanted my first real job to let me be me, and Gerri had said she didn’t think Bea was homophobic. “I’m gay,” I blurted out. “My family actually lives in Weaverville, which is even more small-town than Asheville. My folks don’t know about me.” I omitted the part about leaving because I was heartbroken, too. I glanced down at my outfit: khaki pants, navy blazer, and light-blue button-down shirt were my idea of business attire. “Because if you did, they all know,” she observed. My mother didn’t like the way I dressed, but she’d given up objecting to it when I went to college. My sisters didn’t try to set me up with men anymore. If they knew what to call me, none of them would ever use the word. Bea moistened her lips, and I waited for a curt “Thank you, we’ll let you know” that didn’t come. As it turned out, I was just what she needed, in ways she didn’t divulge at the time. “Well, I can see why you’d want to move,” she said. “So, Livvie.” I’d never heard my name sound so smooth or rich, like top-shelf bourbon. Livvie on the rocks, please. “I need you to start tomorrow. The place is in chaos. The kind you get when your last two assistants have been incompetent. So, if you can start tomorrow and handle enormous stress, the job is yours.” She said it paid twelve thousand a year, a princely sum when many advertised publishing jobs started at ten-five. From a public phone on the corner I called my mother collect and told her I’d landed a good job with benefits in a nice clean office near Washington Square. Clean was very important to my mother; Washington Square meant nothing to her, but I threw it in because it sounded ritzy. I didn’t expect the audible whoosh from the other end of the line, as if she’d been holding her breath since I’d moved away, waiting for the call about her youngest daughter being mugged, or homeless, or anything else bad that could happen to a girl in New York City. Paula Martinac is the author of a book of short stories and five novels, including The Ada Decades, a finalist for the 2018 Ferro-Grumley Award for LGBTQ Fiction. Her debut novel, Out of Time, won the Lambda Literary Award and was a finalist for the American Library Association’s Gay and Lesbian Book Award. Her short stories have appeared in Raleigh Review, Main Street Rag, Minerva Rising, Bloom, A&E, and many others. 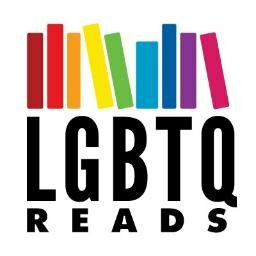 She has also published three nonfiction books on LGBT themes, including The Queerest Places: A Guide to Gay and Lesbian Historic Sites, and authored plays that were produced in Pittsburgh, New York, Washington, DC, and elsewhere. She is a lecturer in the undergraduate creative writing program at the University of North Carolina at Charlotte and a writing coach with Charlotte Center for the Literary Arts. Read more at paulamartinac.com.